Six weeks after asking for help, police may have caught a break in the 21 year old disappearance of Trudy Appleby. Monday officers searched two properties on Campbell's Island using cadaver dogs, and say they may have found human remains. Moline police say the specially-trained dogs indicated they'd detected an odor that could be from human remains and additional investigation will be done at one of the properties. They emphasize though, if there are in fact remains at the site, they may not belong to Trudy Appleby who disappeared in 1996 when she was 11 years old. In August, police released the name of William "Ed" Smith, who lived on Campbell's Island and was the last person seen with her. 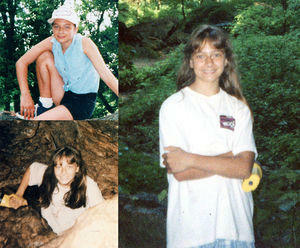 Smith died nearly 3 years ago, and never admitted knowing anything about her disappearance. Officers hoped releasing his name, and other details of the case, might possibly help them solve it.